Different headaches have different symptoms and causes. 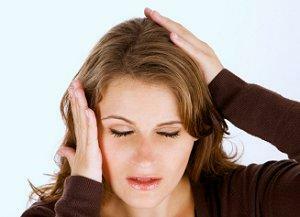 Knowing what the different types of headaches are will help you with treatment options. Whether you are a long time sufferer or you suddenly developed head pain, you may be surprised to find out what you thought was one type of headache is really another. Understanding several types of headaches will help you discuss appropriate treatment when you see your physician. A migraine can cause severe pain for the sufferer. Once believed that the contraction of blood vessels in the brain was the cause of the pain, now many believe that it may be due to disturbances in the central nervous system. Women are more likely to suffer from migraines. Experts believe it has to do with estrogen and fluctuating hormones during a menstrual cycle or menopause. Heredity also plays a role in whether someone suffers from migraines. Scientists have found abnormalities in the brain that run in families that may cause susceptibility to migraines. Individuals who suffer from this type usually experience their first headache between 20 and 40 years of age. This type usually attacks up to three times a day and can last for as long as three months. When the attacks occur for days, they are usually at the same time each day. What headache do you suffer from? Allergy sufferers are familiar with this headache type. The sufferer will usually experience pain in the cheekbones, bridge of nose and forehead. If the person needs to move his or her head quickly or strain to see something, the pain may intensify. Nasal discharge is another symptom of this type of head pain. 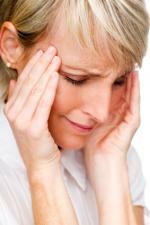 Mixed headaches are usually a tension and migraine together. You may experience some of the symptoms of both types at the same time. These usually occur suddenly and last only for a short time. You may experience this type in times of extreme stress but subsides as the stressful situation does. Another common head pain for this type of situation is a reactive headache (head pain due to a reaction to a situation). Many people take medication to alleviate a headache; however, if you take an excessive amount, you may experience rebound head pain. It may not be as intense as your initial pain but it will still be bothersome to you. You may wonder what you should do since you still need to take medication, the best thing to do is take it as prescribed and try to hold off on taking each dose to give your body a chance to withdraw from it each time. Also called chronic progressive or traction headache, this type is a result of a brain or skull disorder, injury, or illness. Dealing with one of the different types of headaches is not fun and can interrupt your busy lifestyle. Consider talking to your doctor about getting prescription medication if you have reoccurring pain. The best time to take medication is as soon as you feel head pain coming on. If medication is not helping, you can also ask your doctor about preventative treatment options. For some people, quick stress relievers may help, while other individuals will need more potent treatments.